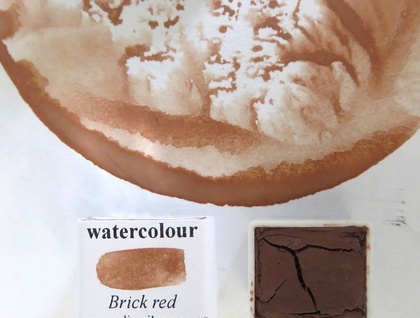 Artist quality, handmade paint prepared from a New Zealand pigment. 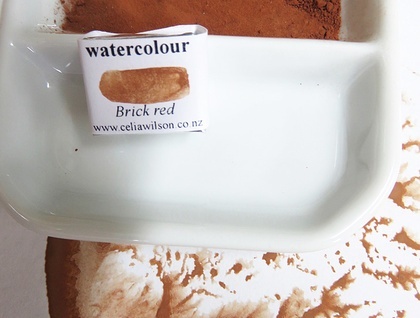 Brick Red is just that, from part of a old brick from the garden, hand-ground into powder and then made into paint using a traditional watercolour recipe consisting of gum arabic, honey, ox gall, oil of cloves as a preservative and distilled water. 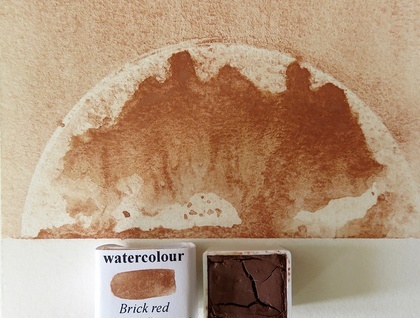 The paint is then placed in watercolour half-pans to dry. Bricks are made from clay, so this paint has much the same quality as the opaque clay based paints. 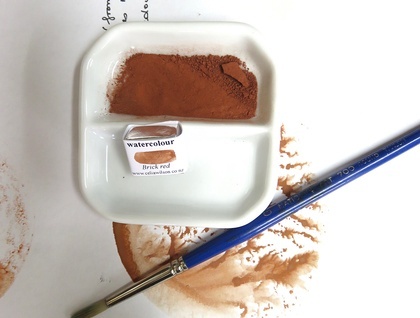 It is a much finer powder, and the colour can be watered down to make a strong paler colour. Contact celiawilson to enquire about payment or shipping options.